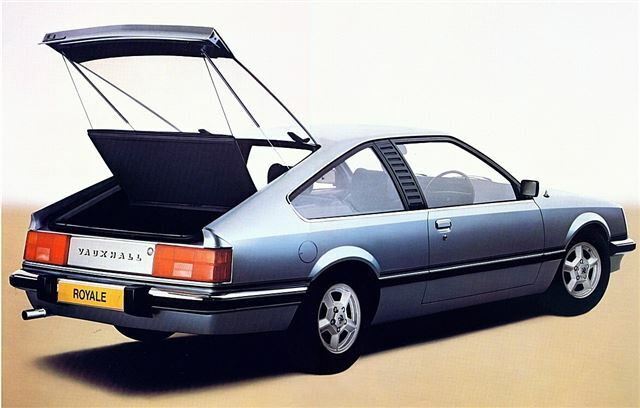 The stage in GM's plan to unify the Vauxhall and Opel ranges arrived in late 1978 with the launch of the Royale. It was Vauxhall's first full-sized range-topper since the Viscount/Cresta PD, but because of its German heritage, owed nothing to the brick-shaped old stager. The Royale saloon and coupé were effectively Anglicised versions of Opel’s Senator and Monza models. And aside side from the front grille and badges (there would be no unique droopsnoot nose for this car), they were identical to their Opel counterparts and were now built in Germany. All were powered by Opel's cam-in-head straight-six, which had seen plenty of service in the Admiral and Commodore as well as the newer Senator - and were therefore trusted and reliable. For the Royale, it was initially available in 2784cc carburetted form, pushing out a modest 138bhp, but in 1980 the Royale was treated to the full-fat 2969cc fuel-injection engine, previously only available in the Opel. It developed 180bhp and, with it, the ability to top 130mph. The name lasted until 1984, to be supplanted by the Vauxhall-badged Senator at the time of the model's A2 facelift. Again, sales took quite a leap at this time.